African Roots Guest House caters for business and leisure accommodation. We offer you a quiet, comfortable and affordable stay with warm hospitality and a relaxed atmosphere. 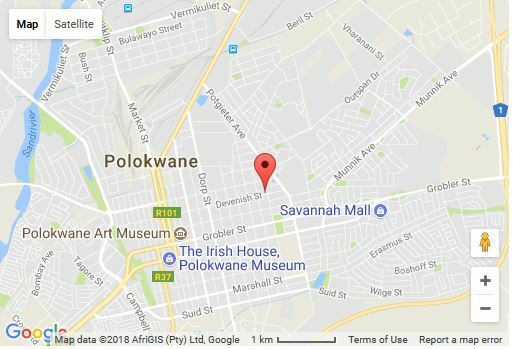 Situated perfectly between the city centre and the established suburbs of Bendor and Welgelegen the guest house is close to a variety of cinemas, restaurants and malls which are located within easy travel distance. The guest house is part of the original farmhouse built in 1928. The original steel pressed ceilings and oregon pine floors have been retained and the architecture has been adapted to a more contemporary style. A variety of accommodation is catered for to suit different needs and budgets and all rooms have individual entrances onto the garden or pool. The rooms are stylishly furnished with a blend of antique and contemporary furniture and a collection of original artworks. The upmarket Queen rooms have their own lounge and a fireplace for those cold winter nights. The Twin and King rooms are air-conditioned. All rooms have a television with MNET and DSTV, a mini-fridge and tea/coffee facilities. A Full English breakfast is served accompanied with fresh seasonal fruit, cereal and yogurt. Lunch and dinner is served on request. Secure parking with remote access control is provided. The guest house offers free 24-hr wireless internet operated on a voucher system. The Conference venue caters for up to 40 people, depending on seating arrangements. Full conference packages are available upon request.